Should the Lakers panic after a 2-5 start? Will LeBron James force them to make substantive changes if the status quo doesn't improve? Did Klay Thompson's 52-point explosion reinforce the inevitability of the Warriors winning the title? Is Luka Doncic running away with Rookie of the Year? What are the Cavaliers doing? Dan and Andy tackle all this, and more, in the latest episode of Hardwood Knocks. Don't get F.O.M.O. Listen now! 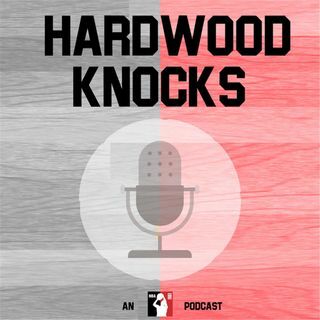 As always, please subscribe to and rate Hardwood ... Maggiori informazioni Knocks on iTunes. You can also find us on basically anywhere podcasts are offered. And as 50 Cent's biopic suggests: Follow Andy Bailey (@AndrewDBailey), Dan Favale (@danfavale), the show (@HardwoodKnocks) and NBA Math (@NBA_Math) on Twitter or die trying.